Some problems occur during the equipment manufacturing process, while others happen during in service use. 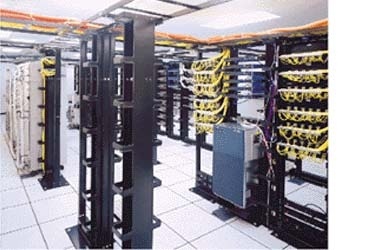 Vendmark Technology offers products which are well suited for preventing latent damages which can occur during assembling, packaging , handling and for in field servicing.. Our line of topical anti-static and ESD products are targeted towards the customer who manufacture, repair and service various electronic components or equipment. When you need a topical anti-static coating, Static dissipative floor product, ESD safe gloves, electronics cleaning products, electronics service vacuum, lint free wipes and pre-saturated alcohol wipes; Vendmark Technology is your primary source. 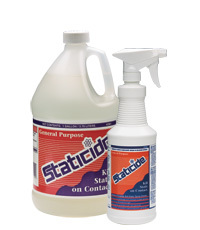 This convenient and ready-to-use anti-static topical cleaner eliminates static to a zero charge and prevents tribogeneration on non-porous surfaces such as plastic materials. General purpose wipes combine highly absorbent natural cellulose fibers with tough polyester fibers, hydro-entangled for maximum strength. Any feature of these wipes can be customized to meet your specifications. Low Particle: Low in soluble extractables and metallic ions, thanks to no binders or surfactants in our manufacturing process. Cleanroom-Prepared: Converted, cleaned and double-bag packaged in our cleanroom. Chemical Tolerance: Won’t break down with most common cleaning and disinfecting solutions. 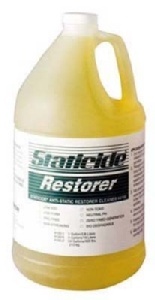 The Restorer Cleaner renews static decay properties, surface resistivity and the durability of ACL floor finishes. Special conductive additives clean while simultaneously breaking down electrical discharge and returning floor finishes to safe specifications. No harmful chemicals like ammonia, phosphates, alkali, nonylphenol (NP), or nonylphenol ethoxylate (NPE) are used in the formulation. 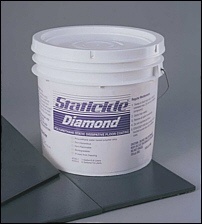 This special detergent can be applied with a mop or in a standard burnishing machine. 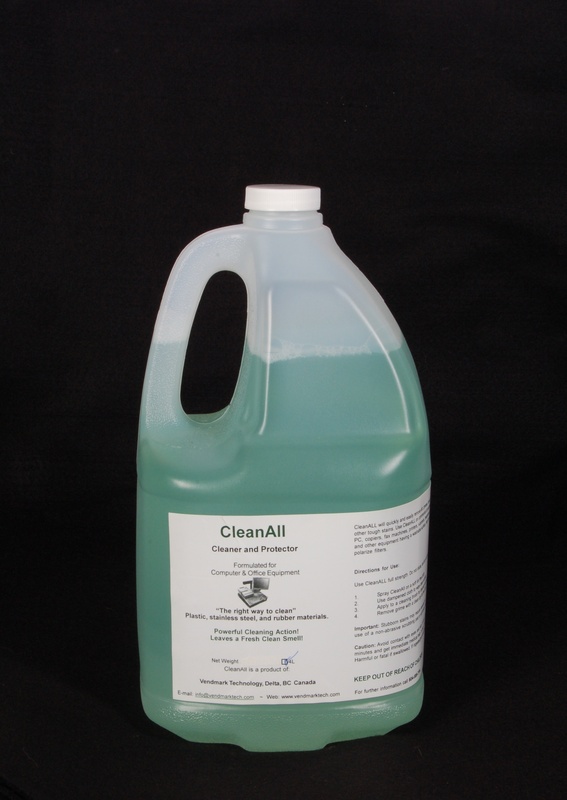 A non-toxic, non-flammable, zero residue wash formulated for cleaning plastic and ADF belts found on office equipment. Ideal for use when refurbishing and rebuilding customer equipment. A Xylene free solvent formulated to clean and rejuvenate rubber rollers found in copiers, fax machines, postage & mailing equipment, printers and all types of office equipment. Low odor and fast evaporation rate leaving no residue on surfaces. Not for use in cleaning Mylar. Excellent for use during general cleaning or for removing flux and other crusty build-up. Still natural hog hair bristle on a long plywood handle in various sizes. Can be used for dry or wet cleaning. ESD mats were developed to conform to the most stringent ESD and lead-free requirements. The material is so reliable that we warranty the electricals for the lifetime of the mat.